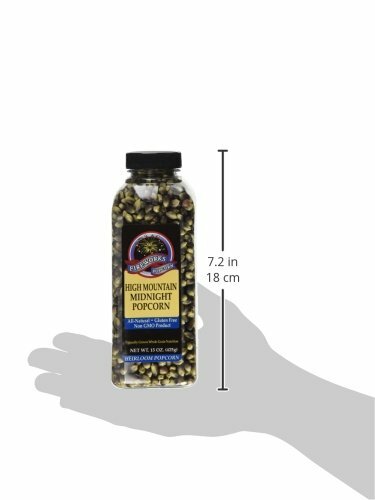 Enjoy your favorite gourmet popping corn with a supply of ten (10) 15 oz. bottles of Fireworks Popcorn. Order a case of 15 oz. 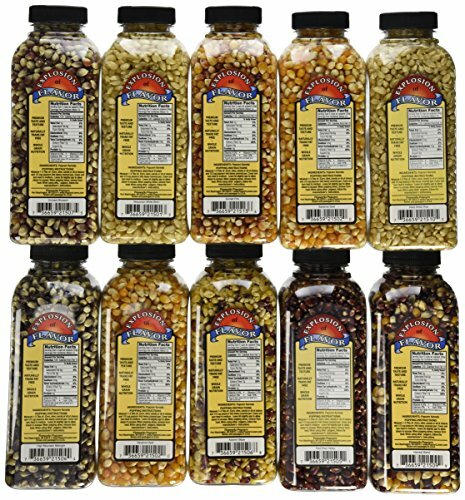 bottles of gourmet popcorn. All popcorns pop up white. 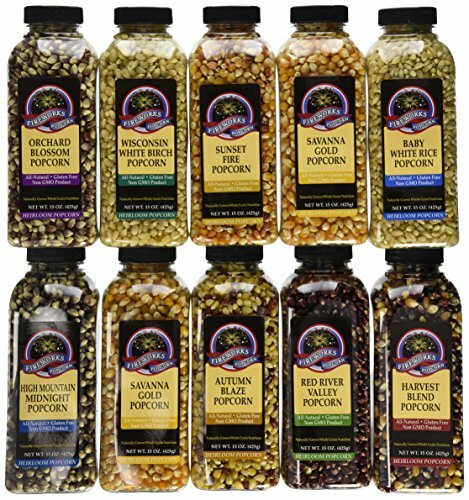 The nine types of popcorn included are: Wisconsin White Birch, a delicious white popping corn pops up light and crsipy, with a sweet, mild flavor; Savana Gold, a creamy, chewy texture and mellow flavor, sweet flavored corn that is so sweet, it’s like you have buttered it; Harvest Blend popping corn, from America’s heartland, a special blend of harvest’s finest kernels, blue, red and gold; High Mountain Midnight, a variety of blue corn, pops up larger than most blues, and features a wild, robust flavor, with a creamy texture; Orchard Blossom, a sweet pink color, reflects the sweet flavor and tender texture of this corn; Autumn Blaze popping corn offers small, sweet, crunchy flakes; Red River Valley, a dark, rich and red kernel variety known for its refined taste and crisp texture; Baby White Rice, a tiny white, hull-less popping corn with a classic flavor; and Sunset Fire,a gold and red striped kernels that pop fluffy and flavorful! Due to availability, some varieties may be substituted without prior notice. NO DYES are used to enhance the beautiful colors of the popcorn. These gourmet kernels are all natural – compliments of Mother Nature. NO GMOs. These popping corns have not been genetically modified or cross-bred with low grades of field corn. 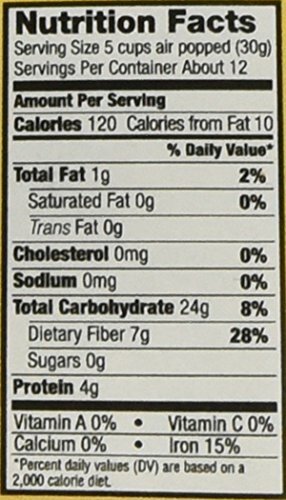 Cross-breeding with field corn would artificially enhance the size of the popped kernels, but with some loss of flavor. Makes a healthy and great tasting snack or gift!